I am currently trying several new recipes to be a 100% ready for summer to arrive. I mean, is there anything better than sitting on your balcony on a warm spring or summer night enjoying really yummy dishes? Coming back from work and preparing a nice dinner for family or friends to let a busy day smoothly come to an end is just so relaxing. Having the right to go with is obviously even better. I really should get started to broaden my wine collection. So finding something that is very nutritive, healthy and delicious may seem to be a real challenge. But no, you just have to think a bit out of the box. Daring to fail is the first step in the right direction to create refreshing recipes. 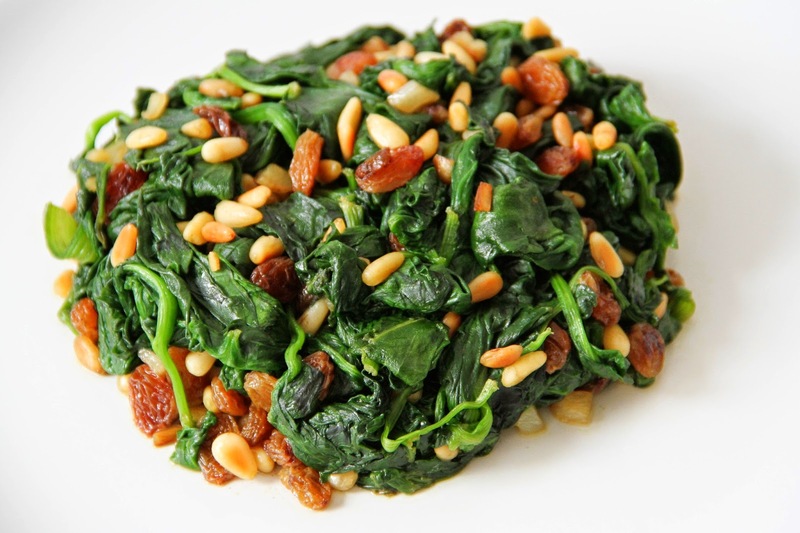 I once stumbled upon the net to check what I could use my pine nuts for, and I read this article on spinach and dried fruits. That's when I thought I could just add a bit of garlic and pine nuts. I was really proud of that finding, tried it and was in love. Proud as can be I told a friend about my new adventure when she just sat there and said that this dish was very common in Catalonia. 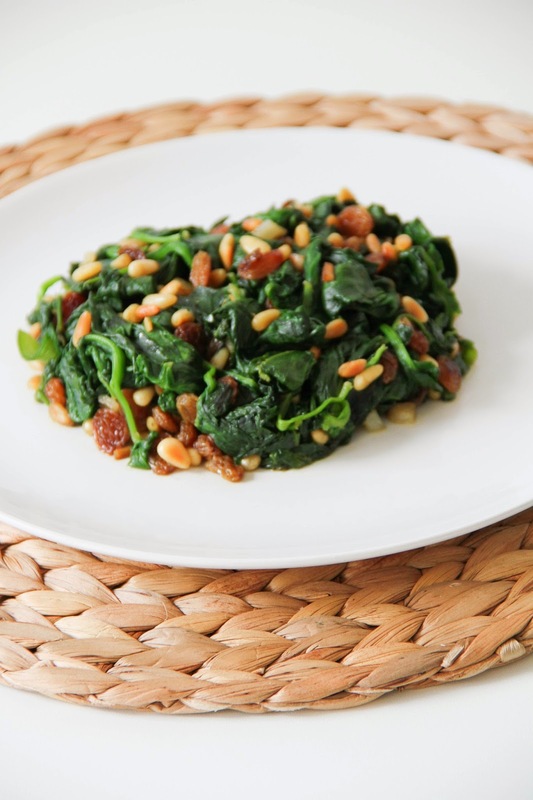 I googled and stated that, yes, this awesome combo is what they call Catalan Spinach. Heat a little bit of water in a large pot over high heat. 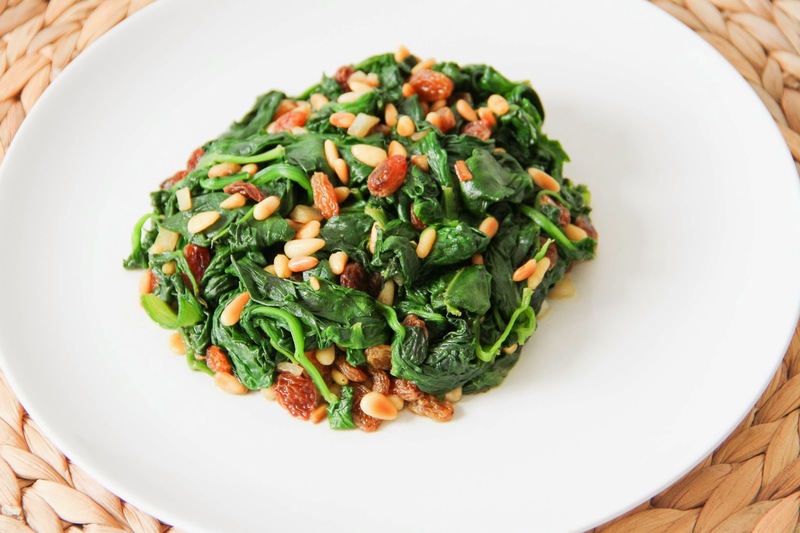 Add spinach, cover and cook just until wilted. 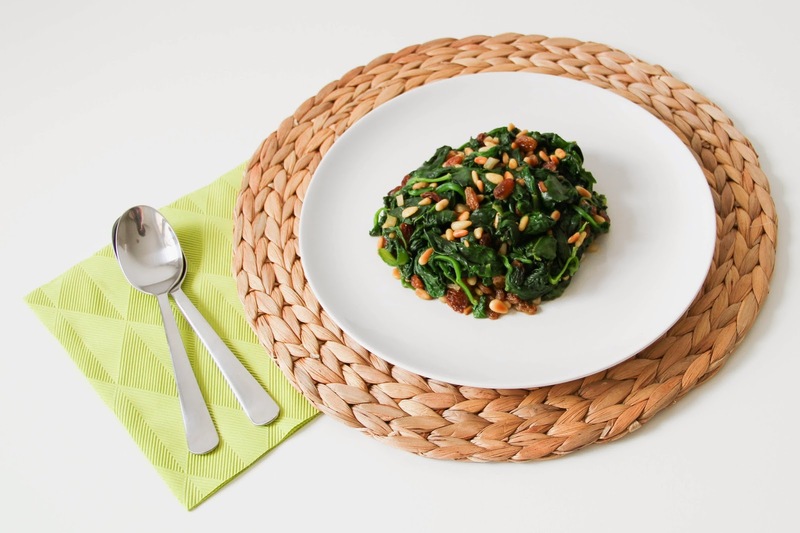 Stir occasionally until the spinach is ready. Heat the olive oil in a large frying pan and add the garlic. Then add pine nuts and raisins. Wait until the pine nuts are golden and the raisins plumped. 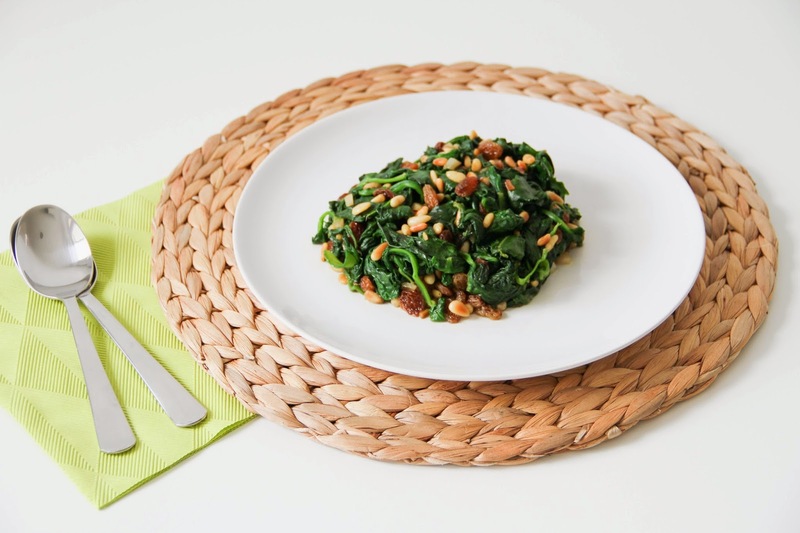 Bring the spinach to the frying pan and mix. Season with salt and pepper. Et voilà!